Do weather forecasters really know what is coming this winter? The NOAA is playing a cruel game of "She loves me, she loves me not"
Is predicting the weather science, art or a dangerous game of darts? Every year we are bombarded with rhetoric from the trusted weather predictors about what kind of snow season will be bestowed upon us powder junkies. We all just got over the emotional rollercoster of ol' Punxsatawney Phil and his prediction on the whether early Spring cometh or if we will be plunged back into a pow filled winter for another six weeks. Now it is the NOAA (The National Oceanic and Atmospheric Administration) we are entrusting with the prediction of the winter to be. With a name like that, they sound like they should know what is happening. 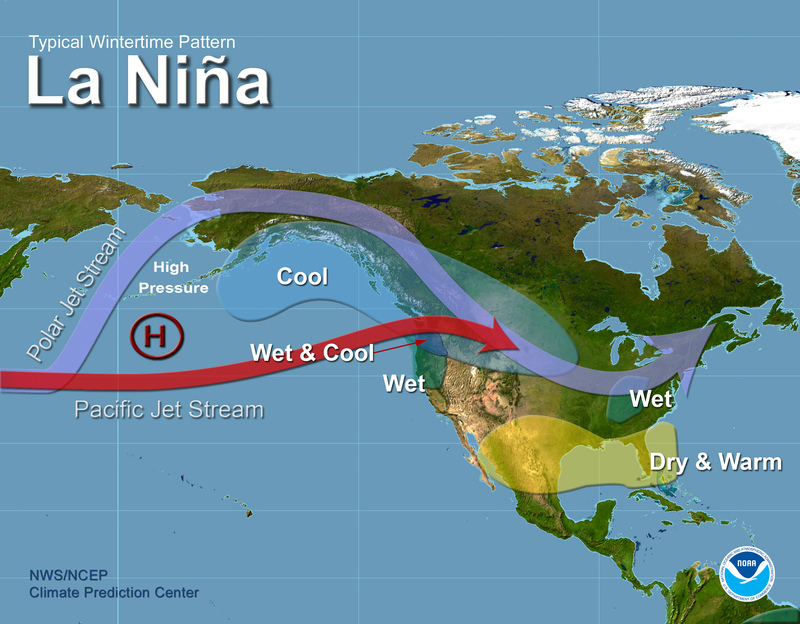 Back in the summer while we were re-hydrating with micro brew, the braintrusts at the NOAA opened up the magic box and told us it was going to be a banger La Nina follow up to the El Nino season we just had. We saw charts, read articles, heard from experts and generally bought into what they were selling. I mean, look at this chart below. I'd believe that. It is sciencey looking. Then about six weeks later (friend's of Phil I think) they yanked the carpet out from under us and said, "PSYCH! La Nina isn't coming". And there we sat, wallowing in self pity. Like a pimply teenager whose been stood up for prom...again. No winter. Only rain. Warmth. Depression. Nothing. But today is a new day! Skiers everywhere rejoice. 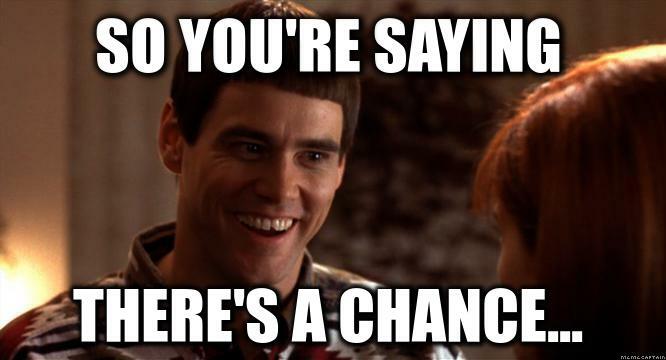 The NOAA has come out from hiding and told us that the wicked temptress La Nina has a 70% chance of returning. They have re-calibrated there weather predicting machine and are back on to promoting a winter full of powder dreams. A 70% chance anyways. There is still that pesky 30% hanging out there like the guy you didn't invite to the party. We will call him the 30% scape goat if things don't go as planned. The west coast is getting hammered with a fierce weather system as I type this. The alpine passes are piling up with snow. Resort webcams are being loaded with hits with the powder afflicted checking all day while they should be at work or school. Ski sales have spiked. Tire shops are over run with tire change overs. Ski movies are being watch and people are generally stoked. This news is a welcome message to get us through this purgatory we call Fall. We skiers are collectively praising the NOAA once again. Or are we? Or are these guys just full of it. Time will tell. 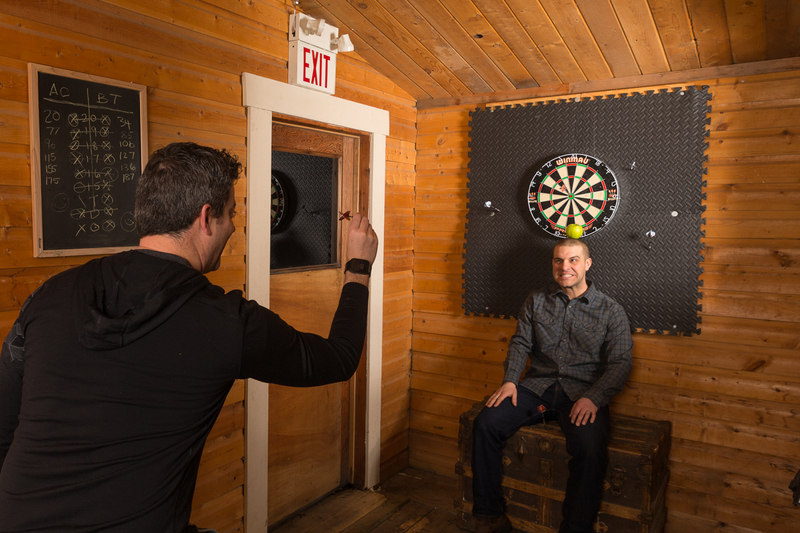 I'm going to play darts. No more cramming your gear and your buddies into a little rental car. Now you can travel in luxury from the Spokane Airport right to Baldface Lodge. 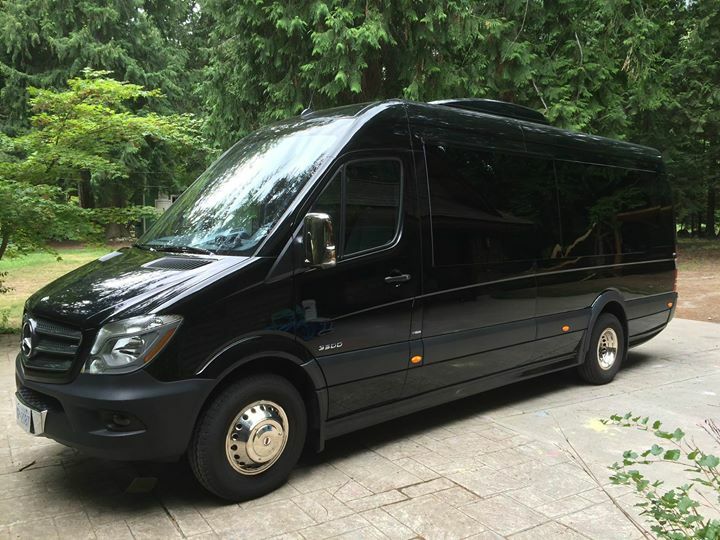 They have purchased a brand new Mercedes tour bus complete with cush leather seating and tv screens. So you can land, get picked up like the rock star you are, put your seat back and take in some vintage snowboard flicks. Reservations are required and it does cost $150 each way. But hey, you can't put a price on luxury. To learn more check out the Baldface website or call 250-352-0006. A cool feature video on what makes Fernie BC a classic ski town. Located along the Powder Highway, Fernie is home to Fernie Alpine Resort, Fernie Wilderness Adventures Catskiing and Island Lake Catskiing. You could say it is a little epicenter of awesome. I love this trailer for the new Shades of Winter: BETWEEN movie. It features and all-star all-female cast and showcases some incredible skiing around the globe. The central message is what go me though. It is the time between the big lines, the sick pow lines, the wicked tree runs. The time between is when the bonds are made that stick together for life. As a group of 4 skiers ourselves who have been ripping together since the late 90's, we agree. Yeah, the skiing has been unreal. Memories of over the head pow, blue bird days, pounding storms and all that good stuff float around our stories. But it is the friendships we have made that make future trips just that much better. There isn't much to say about this video. The snow is epic deep. The smile on Sammy Carlson's face pretty much sums it up. If you want some of this, check out Mustang Powder. It is awesome. Catskiing Canada Featured in Ski Canada Magazine! 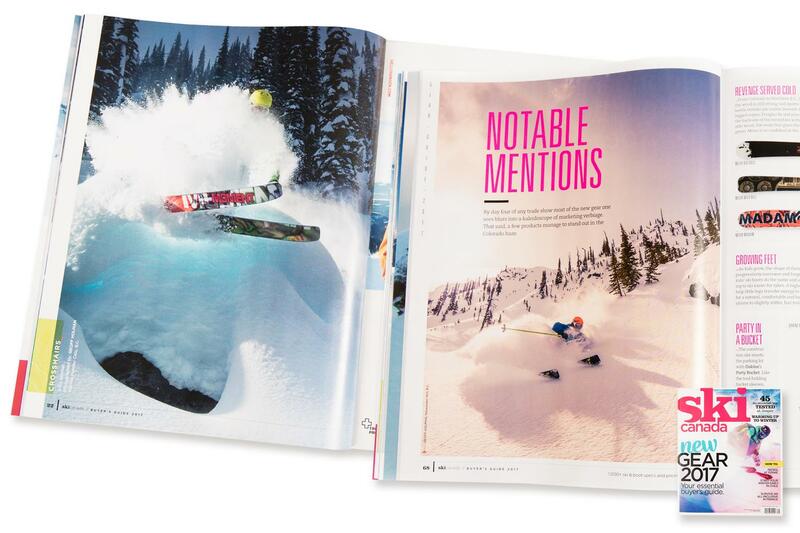 We are super excited to have two of our images in the 2016 Ski Canada Buyer's Guide. Our skier and web guru John Holman is featured doing his signature pow slash at Valhalla Powdercats and at Snowwater Heliskiing. Both shots are taken by our resident photographer (and John's brother) Geoff Holman. A Skier's Journey is producing one final season of their web series. 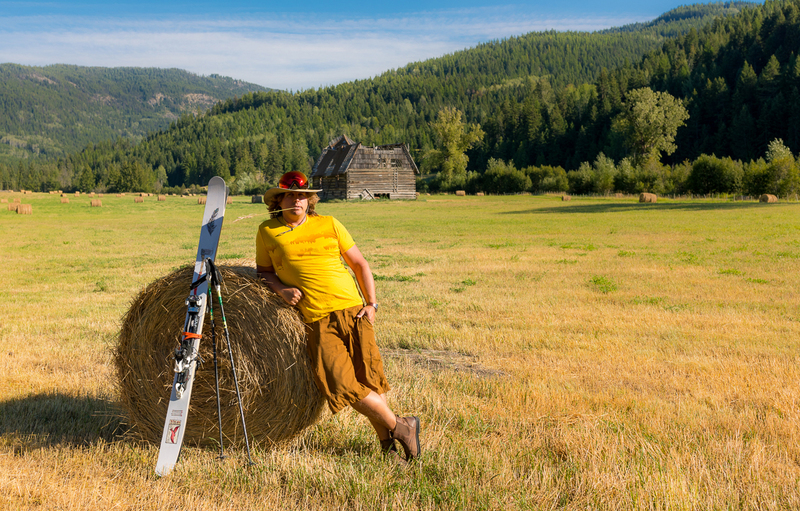 Jordan Manley and his cast of many adventurous skiers have shown us the world through the eyes and hearts of skiers. What a great trip its been and we can't wait for this final season to start. The first one was great. Number 2 looks even better. For those of you that caught Supervention last season, it was a fresh look at ski movies. Mainly because it wasn't in English! It was a story of Norwegian skiers coming together and travailing in their country and beyond. They even stop by Canada for a little deep BC pow catskiing. Check it out and enjoy. Craig Kelly was many things. He was a World Cup Champion several times over. He was one of the pioneers of snowboarding. He was behind the designs of some of Burton's most famous boards. He shocked the world when he gave up million dollar deals to search for the most inspiring freeriding lines. But to me, Craig Kelly was a guy who had a deep love for his sport. A guy who seemed humble yet extremely driven. "To watch you on a snowboard was an inspiration to all of us"
Craig Kelly's influence even touched the catskiing realm. Craig was part owner and member of the board at Island Lake Catskiing. He is part of an alumni that includes skiing legend Scot Schmidt. Craig is also honoured with a memorial at Baldface Lodge. Even though Craig Kelly passed in 2003, I can't go through a season without someone having a conversation with me about him. He was a unique individual who left us too soon but definitely left his mark. Thanks for the inspiration Craig.